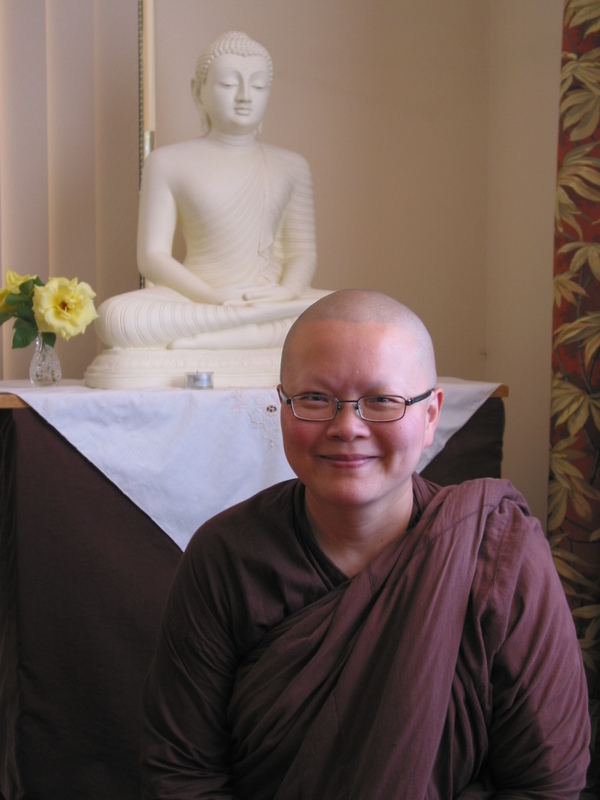 Ten years ago, on the 23rd June 2002, Ayya Seri, then known as Jui Li Poh, a retired pharmacist and naturopath from Leeming, Perth, entered monastic life. With a red streak in her hair and a gold anklet chain, who would have thought that she was a suitable candidate? But here she is today, a Bhikkhuni and a solid member of Patacara Bhikkhuni Hermitage. Not only that, but she cares for Ayya Vayama Bhikkhuni, and is the guardian of her ninety-six year-old grandmother. She specialises in Vinaya, the code of conduct and rules of Bhikkhunis. In fact she has memorised the whole of the Bhikkhuni Vinaya in Pali. Recitation of the Bhikkhuni Vinaya takes about two hours, and is only done in full each fortnight if there are at least four Bhikkhunis present. Ayya Seri is a true daughter of the Buddha and a blessing to the Sangha!